In the lean post-war years in Europe, there was a golden age of spartan, well-built sedans that, unlike their American counterparts, were built to be durable to the extent they could be considered heirlooms with a bit of extra care. On their home continent, they served as taxis, ambulances, hearses, and in various other heavy-duty roles. Thanks to their remarkable designs (or the manufacturers’ need to get the most out of the development costs for these costly cars), they lasted long past their natural expiration dates, and some were manufactured well into the 1990s. 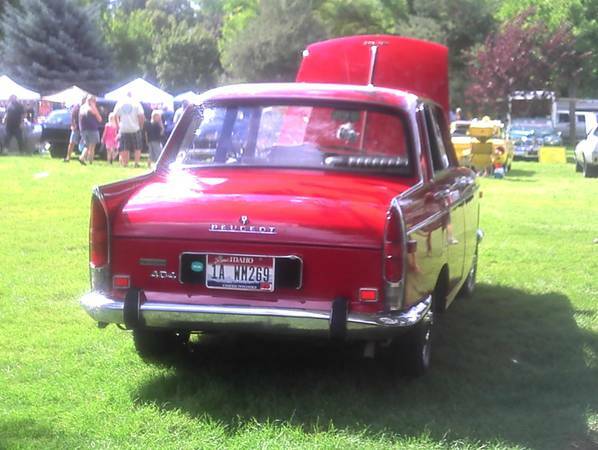 Mercedes, Volvo, and Peugeot (and Saab, to a lesser extent) all built cars that fit in this category, so for today, check out this 1969 Peugeot 404 for sale for $3950 in Kuna, ID. 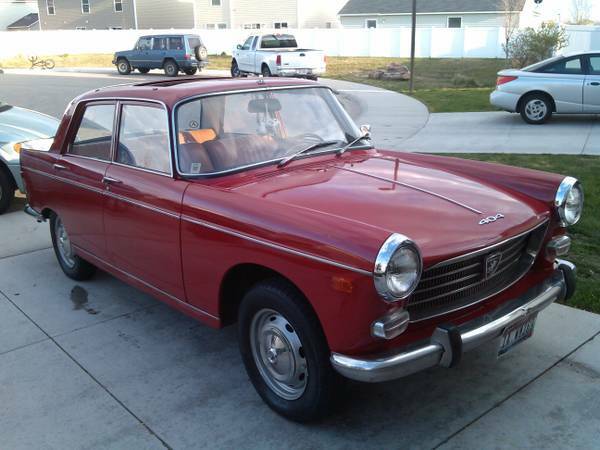 Who knows why this car is listed in Orange County, CA, Eugene, OR, and Boise, ID (perhaps the seller regularly drives the car between each of those locations? ), with different prices and details, but the Orange County listing has some of the best pictures and the most informative text, even if it’s limited to one line. 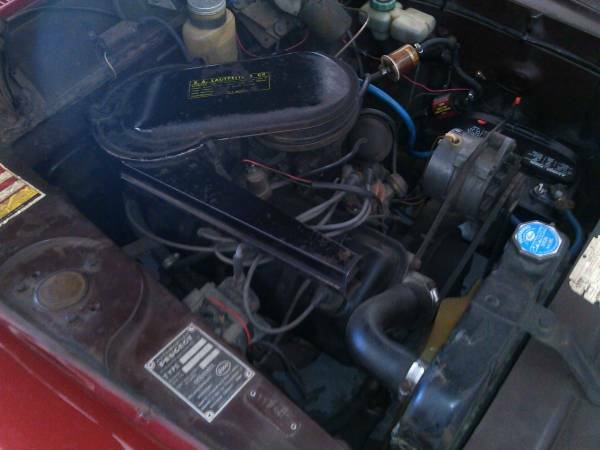 This car is said to be garage-kept and rust free, and has a 3-year-old paint job. The interior is said to need some work – specifically, on one of the listings, the seller has a picture of the driver’s seat showing some waviness and tearing in the upholstery. 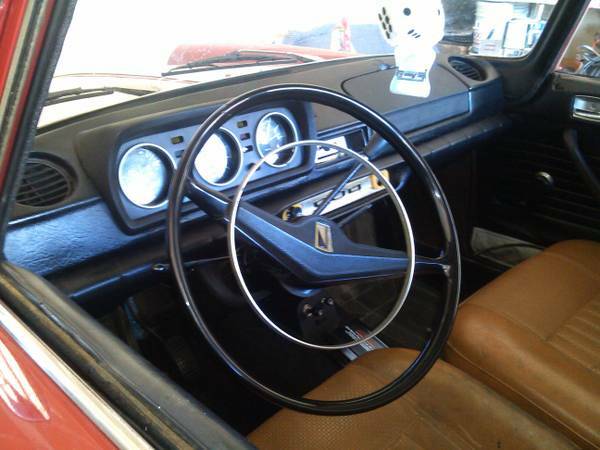 Other than that, it looks quite nice, with the later 3-round-gauge dash, 4-on-the-tree shifter, and crack-free dash. The red-on-tan combination is a classic one, and while overused on Italian and British cars, looks surprisingly nice on this car, adding a touch of sport to the conservative lines. The car’s 80hp XC6 engine breathes through a carburetor (an upgraded Kugelfischer-injected version made 96hp), and puts the power to the rear wheels via a 4-speed column-shifted manual. As you may have realized, until sometime in the mid-1970s the French really hated reaching to the floor to do their shifting – what changed? Either way, the car is said to run very well. Evidently, the local shows feature more Corvettes and Miatas than Peugeot sedans. However, it’s nice to see one of these in such nice shape, instead of as a project or a sun-baked back yard decoration. How about this as a durable, comfortable family classic? This entry was posted on June 5, 2014 at 1:00 pm and is filed under Feature. You can follow any responses to this entry through the RSS 2.0 feed. You can leave a response, or trackback from your own site. has anyone actually gone to see this?